I’m a huge fan of crowdsourcing and have been following and using mechanical turk for years. Using technology to reach out to workers or experts who can then in turn work when they want. It is a simple concept but also very powerful and is the way of the future. It is efficient economically because it is helping suppliers (workers) meet demanders (businesses). The key to modern crowdsourcing is to define the unit of work property so that it can be executed independently and in parallel. My fascination with crowdsourcing, design, technology and entrepreneurship made me a fan of 99 designs right from the start. 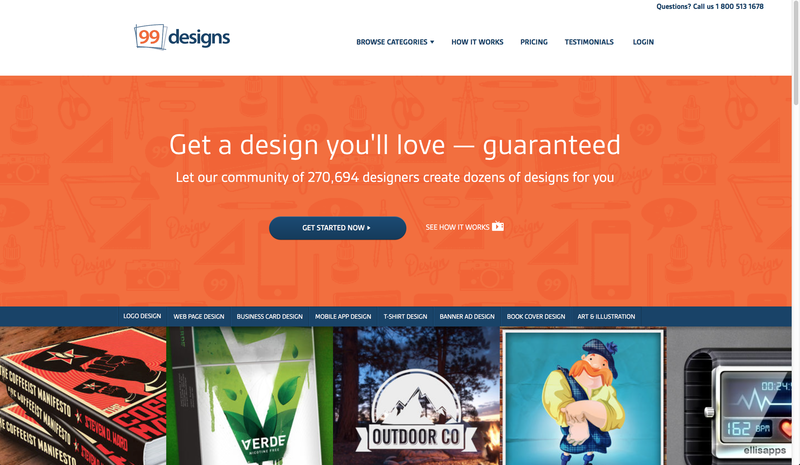 With 99 Designs has a 200K+ vertical crowd (community) of designers that can work on your tasks. For example if you need a logo you can create a job then designers can submit their proposals. One of the cool things is that anyone can “work” on your task often just for the hope of getting select for the next round. This means that you can get 100+ designers to submit initial proposals then you can start narrowing the field down and do another iteration against the crowd further refining the logo. At first this does not seem that impressive but it really is quite amazing. I can’t wait for an opportunity to try it out.